April is Occupational Therapy Month. You may have heard of occupational therapy, but do you really understand what it is and how it can help? Most people don’t know the exact definition of this type of therapy and assume that it’s related to an actual occupation or workplace. But that’s not the case. Occupational therapy helps improve the quality of life for our Senior LIFE members! But what does an occupational therapist do? The occupational therapists at Senior LIFE help our members regain self-esteem after an accident or illness and overcome aspects of aging that limit their quality of life. 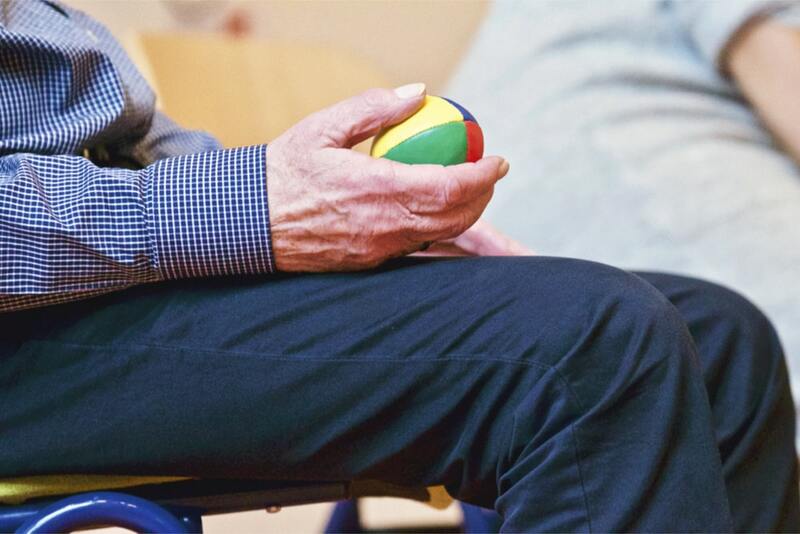 This type of therapy can be beneficial for everyone at any stage in life, although it’s important to note that the field of geriatric occupational therapy is growing rapidly. As our loved ones age, their bodies change, and small changes can make a huge difference. Occupational therapy can help older adults reduce the impact of previous injuries and help prevent injuries in the future. An occupational therapist will help your loved one regain mobility, optimize the home environment, and build up the physical movements he or she uses on a regular basis. There are many occupational therapy benefits, and this type of rehabilitation has been shown to improve quality of life and reduce pain. Older adults benefit from occupational therapy because it increases longevity, helps daily tasks become possible again, and allows them to remain at home independently for longer. Occupational therapy can also help make a home safe, ensure the environment is more friendly for an elderly loved one, and spot potential hazards in a living space. It can often be hard for an older adult to adjust to life after an illness or an injury. Occupational therapists work with their patients to help them re-develop the abilities they may have lost while recovering—and their independence. For example, an occupational therapist working with Senior LIFE can assist your loved one with bathing, dressing, homemaking, and other daily activities and tasks that can help restore a sense of normalcy. Stroke survivors often find that the ability to complete once simple tasks has been lost. Occupational therapy helps stroke and heart attack survivors adjust to their daily routines with a changed body and possibly mind. Occupational therapy can also be used to assist a loved one after a fall. A fall in the home often requires a lifestyle adjustment. An occupational therapist can identify potential hazards, help improve the ability to complete tasks as before, and increase self-confidence in patients. If your loved one is enrolled in a managed care organization under Community HealthChoices, you may worry about accessing rehabilitation services, including occupational therapy. With Senior LIFE, there’s no need to worry—all medically necessary services, including therapy services, are provided through the program at no cost. And they’re most often received at the Senior LIFE Health and Wellness Center, all under one roof. The best part is there are no copays and no limits on the number of therapy sessions. We believe seniors should always have access to therapies to keep them healthy and strong and reduce risk of falling. That is why therapy is an ongoing continuous service for all Senior LIFE members as they need it. It’s easy to attend appointments at the Senior LIFE Health and Wellness Center, meet with doctors, enjoy activities and meals, and receive therapies, so your loved ones get the care they deserve. Even transportation is provided free of cost. Every aspect of care is centralized—and provided locally. Senior LIFE is here to provide support and services designed to keep your loved one at home longer. Therapy services are just one way we do that. Find the location nearest to you to learn more.